1. Saute the garlic in oil. Add the chicken and saute until browned. 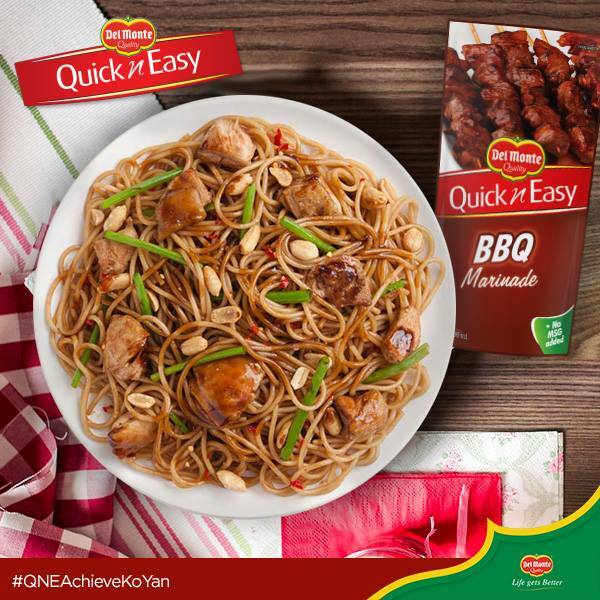 Mix in DEL MONTE Quick N Easy BBQ Marinade and vinegar. Boil then simmer for 3 minutes. 2. Add the sesame oil and siling labuyo. Add the cornstarch dissolved in water and cook until thick. 3. Toss in the cooked spaghetti. Top with peanuts and green onions.